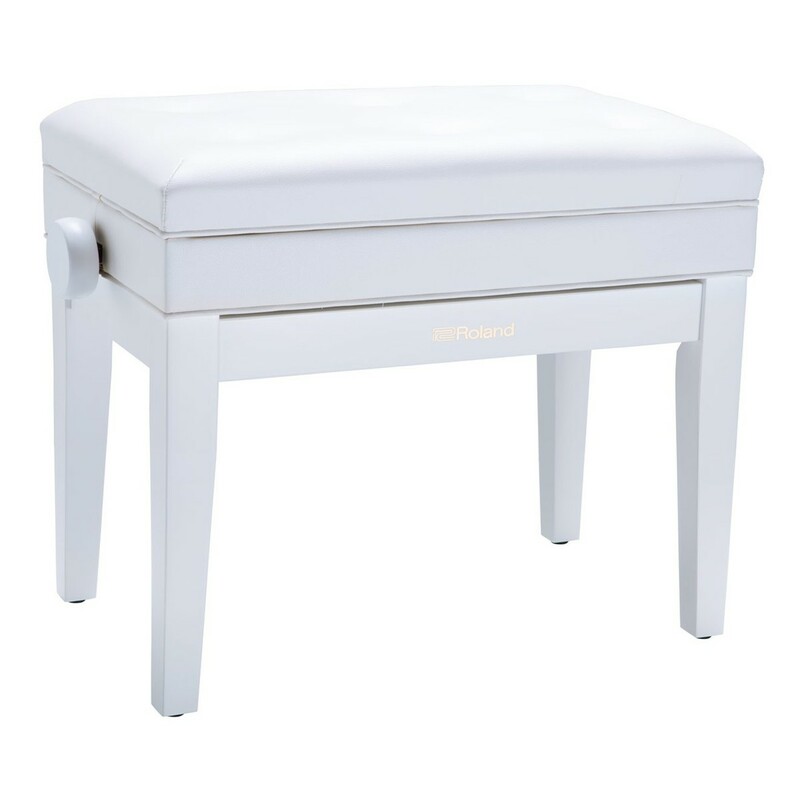 The Roland RPB-400PW Piano Bench is height adjustable by 10cm to suit all musicians' playing preferences. The correct height can be quickly achieved using the rotating knob. The durable wooden frame has rubber feet which maintain stability. The padded cushion is comfortable and supports good posture. 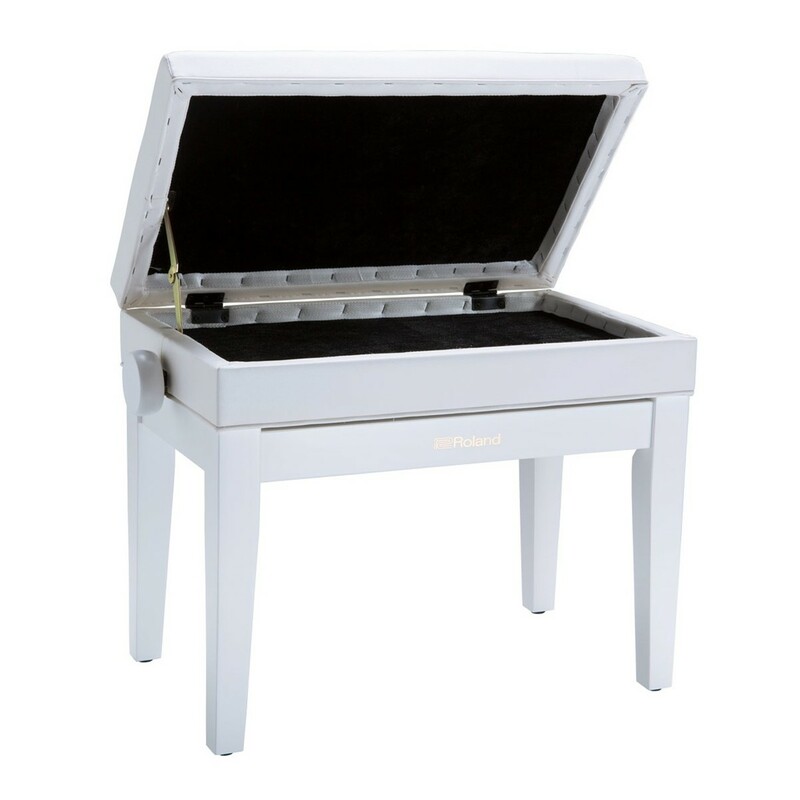 The RPB-400's internal storage can hold music sheets and accessories.